Roman's Rap-Up caught up with music-sensation William Singe backstage before his recent show in Boston. The singer talked about his much anticipated RCA Records debut single "Rush," his current tour, and upcoming music plans. 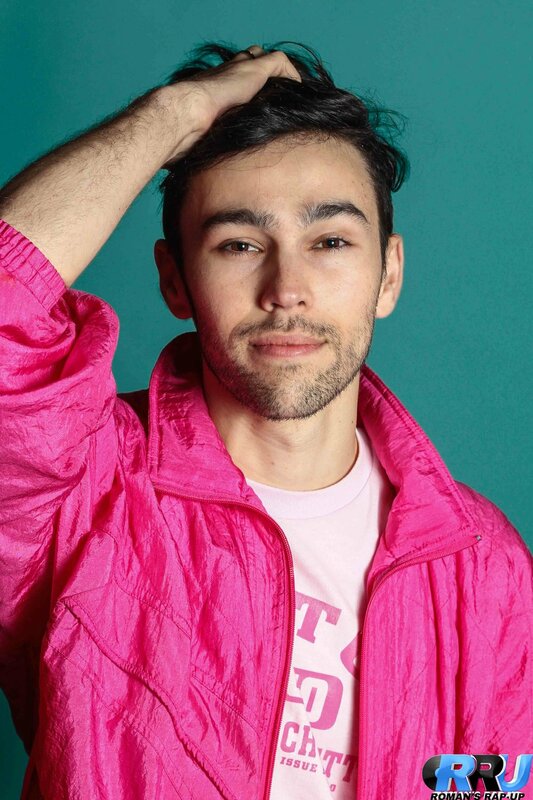 Max Schneider poses for RRU staff (Mike Zahar/Roman's Rap-Up). You may remember him from the world of Nickelodeon or Youtube, but his current work is at the forefront of a new phase. 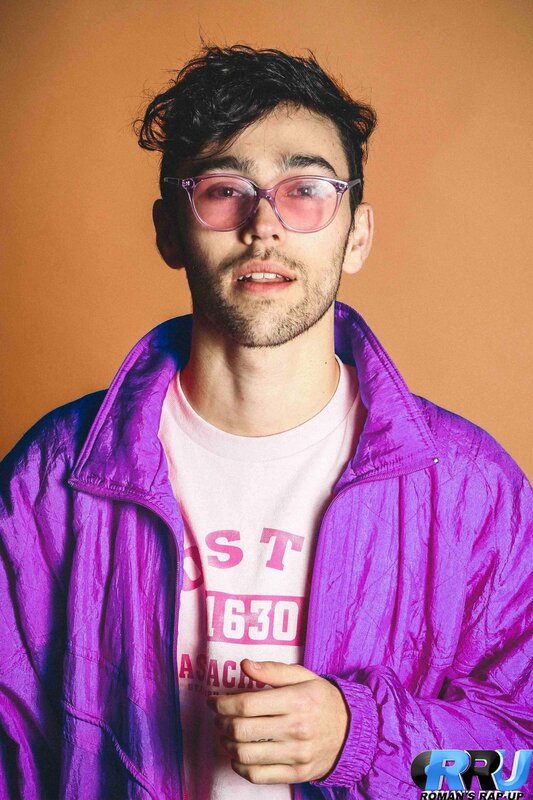 Max Schneider’s grounded nature and raw relationship with music allows him to explore different facets of his artistic capability that have not yet been shared. While drawing inspiration from singers such as Etta James, Stevie Wonder, and James brown, his soulful voice and musical stylings contribute a richness to his pop sound. 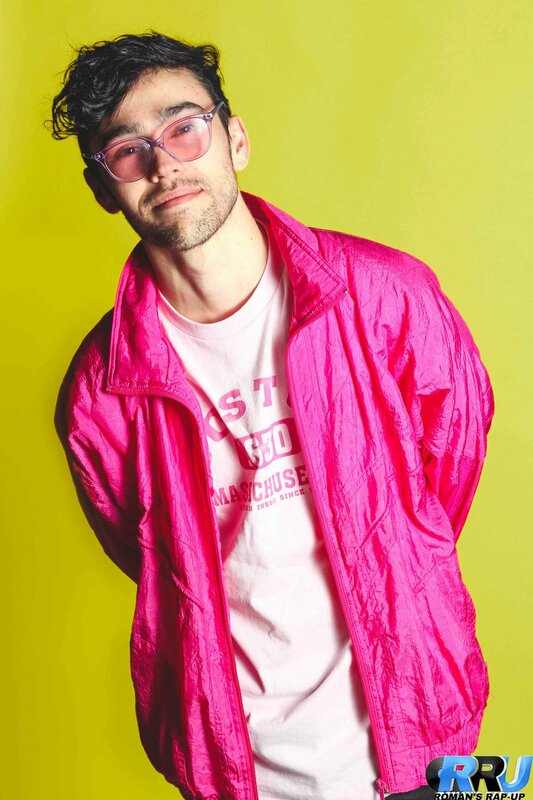 He has been very hard at work, promoting himself as MAX, an independent artist, with his latest single, “Lights Down Low” featuring Gnash, while working on a new project, “Party Pupils” which takes a more anonymous approach. “Lights Down Low,” is a stripped down love song written for his wife of one year. With a very raw and simple sound, Max’s sentimental lyrics work with a carefully placed melody that demonstrates his innate vocal inclination and undeniable musicianship. 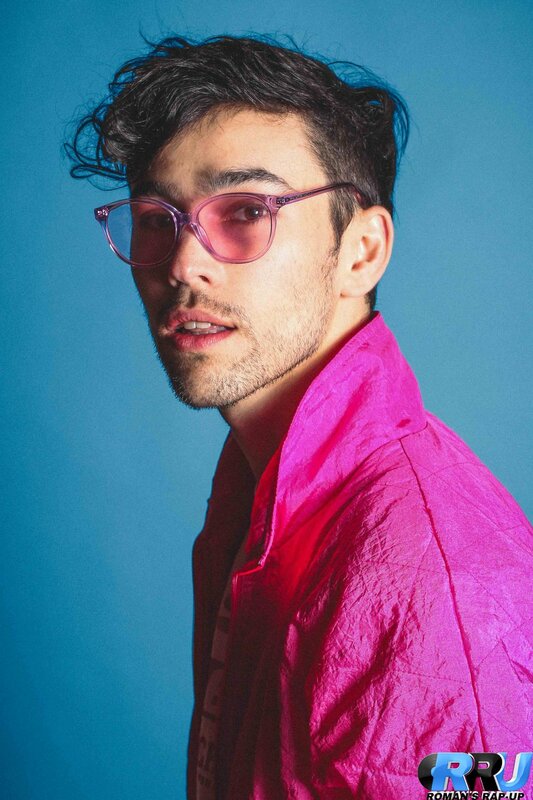 “Lyrics are everything to me,” Max said, “in that it allows you to realize there are so many songs being written, and there’s only so many ways you can write certain songs with certain words in a certain language and of course that brings into melody and how melody is obviously the most universal language in music.” Max approaches his projects as a genuine, mature and seasoned musician as shown in the material he releases. Max continues to discuss his relationship with his wife, and how it has molded his perspective on love and life. He talks about the word “urge” tattooed on his finger: “I just got this in Hawaii with my wife it’s a matching tattoo,” Max said. He said they knew they loved each other only a matter of weeks in, but they felt it was too early to say it. “So we would say ‘the urge’ and we would say it all the time… It’s important to remember why you started being with this person,” he said. His entertainment and life experience provides a solid foundation for his upcoming projects and exploration of his own music. In the true sense of the term, Max is a renaissance man, exploring a new stage of his career with the same undying passion. Monty, the counterpart to Fetty Wap in the hip-hop group Remy Boyz, is an unsung talent. Though his mixtape Monty Zoo dropped last year, the same year as Fetty Wap’s Fetty Wap, Monty deserves more than the media has given him. Every mainstream music listener has heard the recognizable, hollow, wailing tone of Fetty Wap on hits such as “679,” “My Way,” and many others since 2015. However, Monty is the other voice on these tracks, mentioned by feature, that helps carry these hits through to their finish. Roman’s Rap-Up talked with the young rapper after his feature performance with Fetty Wap’ set at the Billboard “Hot 100” Music Festival at Long Island’s Nikon at Jones Beach Theater. From his excitement for the future to his constant acknowledgement for where he came from, Monty is an artist who is thankful to share the spotlight but also is ready to carve his own path solo, and the fans should listen. “Fetty and I met at a chicken store… we linked up, and we both were on the same thing,” Monty said. The origination of Remy Boyz, originally with three members and now only two, began as simple as where the two rappers come from. Both carry a very deep and honest sense of their roots and their upbringing, and therefore, their normal meeting comes as no surprise. “We’re an hour and a half from home,” he said, “[Family and friends] love the chance to watch us perform especially from where we come from. To be able to perform [with] the beautiful view out here...” It’s a dream come true to him. Remy Boyz rolled up in black cars with New Jersey plates, as they drove from home, so the Billboard Music Festival was close to playing in their backyard. As he continued to talk about his experience at the festival, there was an easy sense of happiness and fun between him, Fetty, and their gang who eagerly waited to drive the short distance home to enjoy the rest of the night. The festival experience is much different than headlining a concert; Monty said, “It’s even crazier seeing other artists and having the opportunity for them to be right down the hall.” It was a special moment for Remy Boyz, almost a celebratory performance rooted in pure enjoyment to show their friends and family what they accomplished over the past year. When asked about new music, Monty’s demeanor lit up. “Monty Zoo Part II is about to drop real soon. It might be next month,” he said. This album would be a follow up to his mixtape from last year, and it would include lots of features from Fetty Wap, and the two trade of featuring on each other’s tracks. 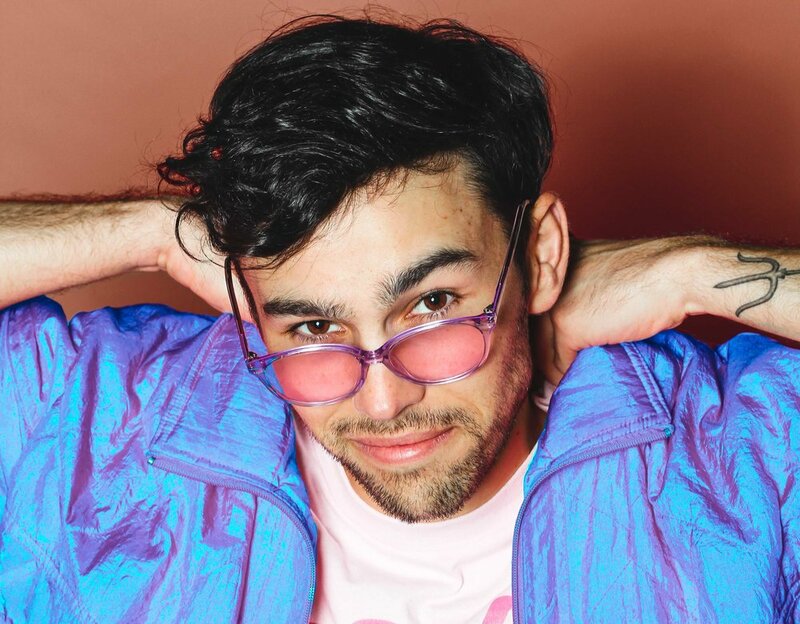 Monty just released a single off of the new project called “Right Back.” He said, “It’s one of the craziest videos… it’s my favorite song right now.” When talking about what’s to come and what’s next, Monty cannot seem to hold back his optimism for the future of his career. For sharing the spotlight with Fetty Wap who’s hot in the eyes of the hip-hop realm, their relationship is all love and brotherhood. Fetty watched the interview from a few feet behind Monty, goofing around with his entourage but also standing by for support like a friend does. Monty believes his personality speaks for itself. “I’m chill, laidback, easy. I’m the coolest person you’ll ever meet,” he jokes. There’s no outright aggression or competitive edge to the group. Remy Boyz 1738, a phrase constantly repeated like a mantra on and offstage, is not just a slogan or casually-used phrase. The title stands for the finest cognac liquor in the Urban Distract where they’re from; a metaphor for the music they produce: it’s the best. It’s a constant reminder of who they are, where they come from, and what they stand for. Monty represents all the growth the pair has been through, and it’s only a matter of time until he drops a track that blows up radio stations “Trap Queen” style. If anyone is beginning to feel nostalgic for time when artists put all of themselves into their music instead of songs written for them by other people, if anyone is tired of the same chords played on different tracks because originality is the a thing of the past, if anyone feels a wall going up in the industry between what is out there and what is real, J.R. is your new artist to watch. The St. Louis native bleeds dedication to his true identity as a musician. RRU interviewer Gibson sat down with J.R. in Los Angeles before J.R. headed out to continue his Gang Season EP tour in South Carolina. However, J.R. is nothing but grateful and respectful to those who’ve stuck out helping hands for him in the industry as he’s continued to rise. Big names such as Nelly, a St. Louis native himself, and Trey Songz are two rappers who have cultivated rich, professional relationships with J.R.
“Trey was listening to [my] music and inquired… I met him in Detroit and began to build a friendship and music chemistry. He listened to my first single ‘I’m Just Sayin;’’ I sent it directly to him, and he sent it right back. That’s when I knew (laughs). Next day, it was on the radio in my home city.” J.R. asserts his thankfulness and understanding of the influences that have helped shape his career, something that is rare in an egocentric industry. Beside the recent Trey Songz, Nelly and The St. Lunatics are two other artists who’ve inspired him because they influenced his direction, as he grew up seeing what they got to do. His dream collaboration would be Outkast. In addition to recognition of his influences, J.R. also notes the importance of his production team. “If you find someone you can really work with for a long, long hours, appreciate them and keep them close to you because it’s really hard to find,” he said. His close circle is also from his home city of St. Louis. This is another major source of passion for J.R. Since his Gang Season EP was released in late February, J.R. has been on his own tour promoting the EP. He commented on the good reception and love people have been showing him while on tour. However, the tour has not faulted his ability to share new music with his fans. “Party Bussin,’” the rapper’s “celebratory anthem,” was just released. It is a feel-good track that fans can place on their pregame and going out playlists. However, hip-hop is not the only genre that J.R. would consider working within. “I’m open to any kind of music. I don’t want to dress like a country singer and make trap music, but when Nelly sat down and made a record with Tim McGraw (referencing “Over and Over”), that’s blurring lines,” J.R. admirably said in regards to blending genres. He has a strong admiration for artists across all genres of music, which is a unique trait for an artist focused in one genre. In regards to the continuation of his career, J.R. goal is concerned with longevity. “I want to be around forever,” he said, “You can die physically, but Tupac’s not going anywhere. Biggie’s not going anywhere.” A strong statement from the up-and-comer who has high expectations for his music derived from a hard, instinctive work ethic. With Summer Jam right around the corner, J.R. continues be grow while continuing to give thanks to those who push him everyday. Catch the full interview with J.R. above. Rich The Kid poses for Roman's Rap-Up on January 25th, 2016 (Gibson Dintersmith/Roman's Rap-Up). We caught up with hip hop-newcomer Rich The Kid on 300 Entertainment's "Young Hustle Tour," where he confirmed new music with Frank Ocean, discussed wanting to work with Kanye in 2016 & more.